What a trip, 8 days of turns, hills, great scenery, weather and friendship. Rode the mountains of Va., West Va., Kentucky, Tenn., Georgia and NC for 8 days with 11 friends. 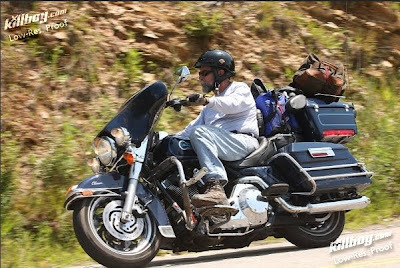 Picture above was taken on the tail of the dragon, the #1 rated motorcycle road in the US. [The famous Tennessee Dragon has 318 curves in 11 miles] I am back on the water this week hunting Stripers and will resume my journal with our fishing adventures.